Valentine's Day is rapidly approaching and it's put me in the mood for a pop of pink! Yes, I am a lover of all shades of pink (please don't hate me!) and I especially love to wear hot pink with black to balance out the girliness of the look and of course add a little Parisian flair. After my shopping super bowl on Sunday, these are all items I'll be adding to my spring wish list. I wanted to choose a simple black maxi dress and this one was really nice and on sale! I am starting to buy more dainty jewelry pieces (thanks to Your Style Journey Blog and her beautiful jewelry) and a three-pack for less than five dollars is a good place to start, especially in rose gold. All 4 shades of this new and adorable blush are all gorgeous and couldn't choose which one. I love how the lace detail on the shoulder elevates just a basic stripe tee. New colors once again had me walking away empty-handed. All of the new and super creamy lip crayons are so pretty. This is a perfect color to find quickly in your handbag and use to stash a giftcard or two. Love all the colors in this scarf and I probably own more scarves than I actually use (it's hot here!). While most of the country is in heavy winter mode, I was excited to see Sam & Libby's latest collection for Target, these buttery sandals are next on my list to purchase. I know I am French-obsessed, luckily lots of you are too, forgive me for sharing yet another tee, but this simple version is too chic not to. This pale pink pair of sunnies is just too cute! For those of you that aren't afraid of wearing hot pink head to toe. Target buy 1, get 1 50% off shoes, jewelry and accessories. Absolutely love all the items here! Especially the Sam and Libby sandals. That maxi dress color is stunning. Thank you for sharing! Thank you Katherine, so glad you loving everything and can't wait for some warmer temps to wear the sandals! I love pink too...haters to the left! I see myself wearing the black maxi with a cute floral scarf, and of course, fun sandals...or uhh, boots at this time of year. Great selection for under $30. Love the black maxi dress. The maxi dress is a great price for such a versatile and cute dress, glad you liked it! I love pink tooooooo and dainty cuties of course :) Great picks! 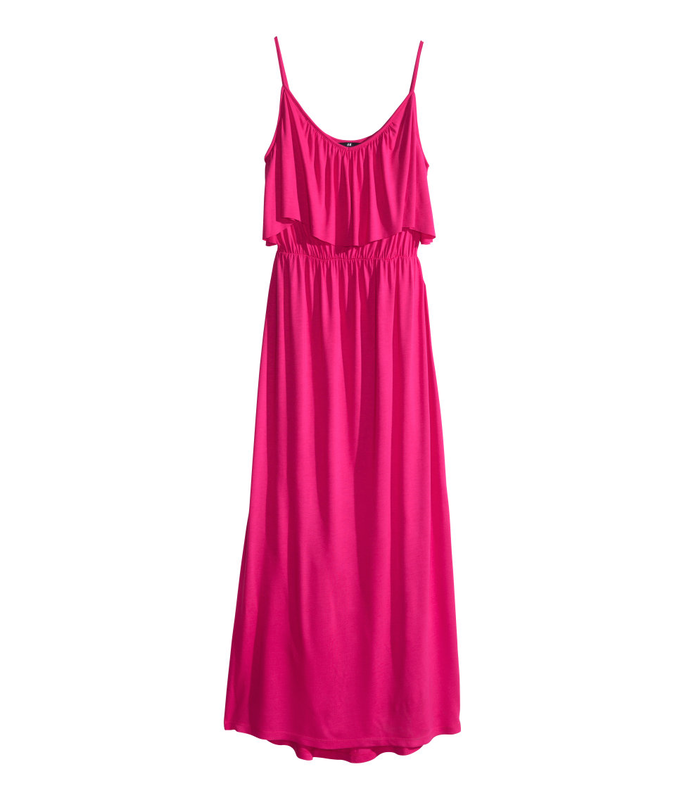 I want the maxi dress in PINK! Also with the lip sunnies...SO Kate Spade! It is so Kate Spade and anytime I see something a bit similar to her brand, I want it!